Here is my list of ultimate productivity tools and hacks to make working online easier. 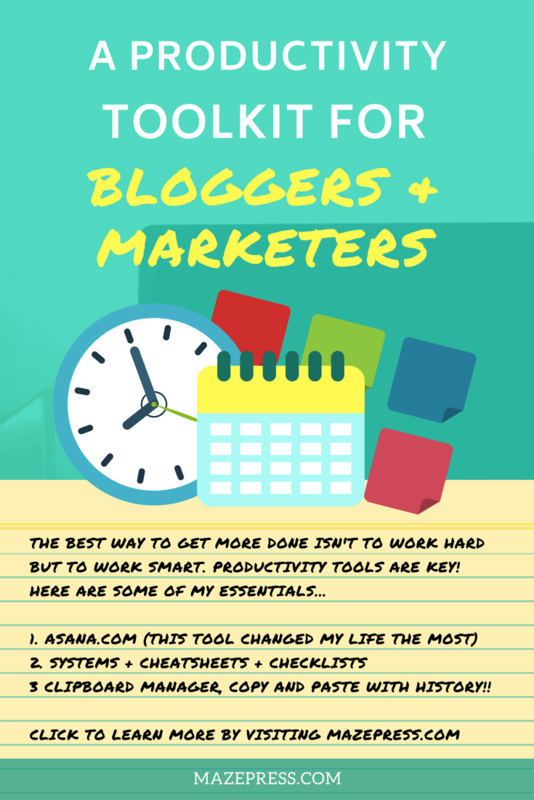 These tools will be useful to anyone working online or remotely in the world of digital marketing, blogging, content creation and many other fields. The purpose of these tools is to help save time, stay organized so you can focus your efforts on the important parts of your business. We will look at automation software, enterprise resource planners and useful gadgets and apps that you can use as productivity power tools. Related: See all of my best productivity tips and hacks. Asana is my number 1 enterprise management planner tool and I use this service for every aspect of managing the day to day tasks in my business from micromanaging freelancers, collaborating with colleagues and to plan projects with clients. Each of my day to day responsibilities is listed in my Asana workspace inside a relevant project space with times, deadlines and other details. There are a lot of SaaS products in the ERP space these days and I have used many over the years but none have impressed me with such a feature-rich yet unobtrusive user experience. Asana offers a free version which will be perfectly suitable to most users however their premium upgraded package does offer some amazing features such as the ability to add your own custom fields, add task dependencies meaning task 1 must be completed before task 2 can begin and so on. There are several vantage points from which you can look at your workload, you can browse by your own responsibilities across all projects, by project and you set the overview to list view, calendar or boards feature ideal for brainstorming. Since this isn’t a review of Asana I am going to avoid getting into the nitty-gritty and perhaps save that for a later post but I can say that this is the one tool that changed the way I work for the better more than anything else in the past few years. Asana enabled me to take on more clients and personal projects without increasing the burden and my stress levels because for the first time I had a single system to organize every idea, task, and projects I was working on. Visit Asana and give it a try for yourself for free, if you are typically unorganized and your work is all over the place begin to document every detail in Asana and you will be on the road to recovery in no time. I love Asana so much I even create a personal workspace so I can manage all of my bills, shopping lists, and travel itinerary too. Put simply Asana is my GTD tool, it helps me “Get Things Done”. Here’s an article covering different ways I use Asana for productivity hacks. Trello is a fantastic brainstorming tool that can also be used with different templates depending on your purpose. It involves using kanban boards where you create and arrange cards in order of priority among several columns. These columns can represent stages of a project or just be a way to compartmentalize ideas. Many people use this tool for managing projects, development roadmaps and more and I have no doubt that Trello can solve lots of problems but I have mostly moved away from using Trello as Asana actually has it’s own kanban boards feature which does pretty much the same thing. Trello does feature some clever templates and a wide range of integrations via APIs including Google Drive, Jira, and Slack to name a few popular examples. Do you ever find articles on the internet that are compelling but you just don’t have the time to read them? Evernote is for you! Evernote is a great bookmarking tool to save articles for reading later and is also a great tool for taking notes and organizing ideas. Evernote syncs with all of your devices and connects with lots of other productivity tools including the ability to collaborate with others and more. Then you can catch up and do some reading when you find time by just opening up Evernote and seeing what you recently saved. Ever note is very easy to use and ideal for beginners looking for a simple note-taking tool. Evernote also offers a business version of their software for larger teams that includes several features not available in the standard version. Formerly named Google Apps for Business, GSuites is an enterprise tool that offers a suite of premium Google services including the best email solution IMHO along with a plethora of business apps for Word processing, spreadsheets in the cloud, cloud storage via Google Drive. The main tool I love is having an upgraded Gmail account with my own branded email address, I find Gmail so much easier to work with and look at, I despite staring at Outlook or Thunderbird to communicate with people. I switched from Microsoft and OpenOffice many moons ago and adopted G Suites for all of my documentation needs, I love the ease of use and the ability to connect and collaborate with others. Sure Microsoft caught up and also offer various services which overlap but I still think Google is at the bleeding edge of the web more than Microsoft. Organize and monitor your social streams and more in organized slack channels. There are many ways you can use slack to make your life easier as well as use it for meeting with your collaborators, writers, and others. You can also use Slack to build public communities surrounding a certain topic, or even as part of a premium membership area. I simply use it as a way to monitor social media activity in one place for a specific niche. Personally, if I were to build a community now I would probably opt for either tool called Discord or another called Discourse (yes they are two different tools but with a few similarities). Automate and connect all of the services in your life for free. If This Then That is a powerful service that enables you to create automation workflows. IFTTT call their automation workflows ‘recipes’ and a recipe basically consists of an action and a trigger. IF I publish a new post on WordPress THEN post the link and thumbnail on Twitter. The that in the above workflow is the post to Twitter of course and since IFTTT includes hundreds of services with API’s you can create your own recipes that automate all sorts of tasks that usually involve some manual labor. The service also includes IoT (Internet of Things) devices allowing you to turn your lights or kettle on via a tweet, or when your mobile phone passes a certain geo-gate. Very cool if you are a nerd like me, and love a cup of tea when you get home. Another automation tool that allows you to connect API’s and webhooks similar to IFTTT however arguably a more thorough solution that supports a wider range of services. Unlike IFTTT Zapier have a freemium business model that allows free accounts with a limited number of actions per month. To use this tool properly you most likely need a paid account as you can quickly run out of actions even if you have only set up one or two zaps (Zapier’s name for automation routines). Oh well, there’s no time like the present to fix up and add this essential productivity tool into your daily life. What is a clipboard manager? Well unless the name isn’t obvious a clipboard manager like Ditto (for Windows only) or CopyClip (for Mac users) allows you to save the last thousand or ten thousand things you copied and pasted. I go one step further and configure a button on my keyboard and mouse to open the clipboard manager in one click so I can then scroll through or search to find the item I wanted to retrieve. Ever copied and pasted something only to copy something else and need the previous copy? Everyone has! So get this tool and make that pain point a thing of the past. Ditto is definitely one of my favorite productivity applications for Windows. StoopInbox or the StoopApp is one of those apps I wish I had found earlier. Do you wish your email wasn’t overflowing with newsletters and subscriptions? This app for iPhone or Android allows you to have all of your email newsletters go to your stoopinbox.com email address instead of your main email address allowing you to access them in an app built specifically for displaying content and more importantly stopping your email subscriptions cluttering your inbox. This service is a great way to work through your favorite newsletters while you are on the go and cleans up your email account at the same time. Win-win! Browse the internet privately at home and while traveling with a VPN provider you can trust. Net neutrality is being abolished and the fight for internet privacy is becoming more important. If you want to avoid restrictive ISP services and be able to test websites from different geographical locations then it’s time to invest in a good VPN. You can read our Best VPN Services Guide we published to learn more. Yes, I have both, call me greedy but I am curious to learn more about the potential voice assistants have to offer and the impact of voice search on SEO. One thing I am glad I have been able to break out of is the routine of Googling the time where my clients are located, or how much my native currency is in the currency of my client when quoting, instead I now just ask either Alexa or Google Home while I continue typing away my email or logging some information in my diary. It seems like it would have minimal impact but when you do these tasks hundreds of times a week or even each day it starts to save a lot of time and stops you from disrupting your flow and the task at hand. The mouse you say? Yes, the mouse! If you are working online or on a laptop and you use the trackpad I urge you to go out and buy a decent wireless mouse and try it for a couple of months and see if you ever go back. There is no question about it, you can be faster and more nimble with a good mouse than you can with a trackpad. 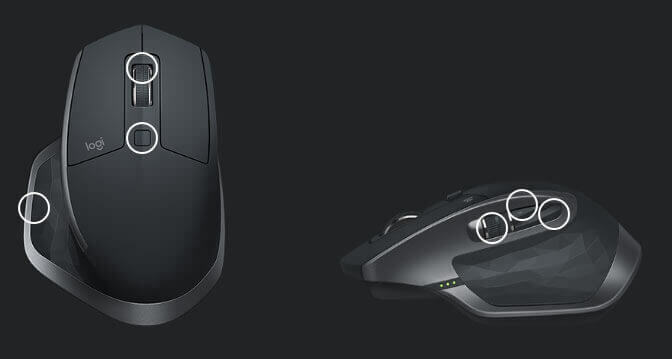 If you get a medium range quality mouse like the Logitech Marathon then you can benefit from the extra buttons and assign custom actions since this mouse includes 5 buttons instead of 2 and has a free-spinning scroll wheel feature that makes browsing web pages and long documents or thousands of lines of code a breeze. Personally, I assign the Enter and Delete Key, and then an action to open my clipboard manager so I can access the last 5000 items I copied and pasted as mentioned above. If you really like to customize then you could also use AutoHotkey and assign your own macros. I used two Marathons over the years but recently upgraded to the Logitech Master MX 2S which is quite a mouthful but really does push things to another level. With this mouse I can use the one mouse wirelessly across three different computers on my desk, I have two computers on my desk so this helps as I can go from one computer to another by holding down a button and literally dragging off the screen as though I am still using one computer with multiple screens. Okay, this may be obvious for some but I can’t stress how useful it is to have an organized bookmarking system for the sites you need to access regularly or store for later so you don’t forget them. Bookmarks used to be cumbersome and moving from one computer to another meant that your efforts were wasted however these days you can sync your Chrome bookmarks across all of your devices making things much easier when you buy a new computer. I like to add folders to my bookmarks bar and turn it on so it displays under the web address bar of Chrome. I create a folder for different categories of bookmarks and in some cases, I even add subfolders to the dropdowns. Now all of the sites I use are only one click away. StreamDeck is the keyboard I have always wanted and finally, it exists! StreamDeck is a 15 key keyboard that features 3 rows of buttons with LED screens on each. Windows – Copy, Paste, Cut, Select All, Refresh, Find, Re-Find, Create Folder, Undo, Redo etc. Photoshop – Various Photoshop tools like the paintbrush tool, step forward, step backward, create new layer, image size, fit screen and more. Google Chrome – New tab, new window, back, forward, downloads, find, re-find, zoom etc. WordPress – In the screenshot below you can see set titles, and various common tools I use often like insert an image. Asana – New Task, Complete Task, Delete Task. I also use it to create a page of launchers to open programs I use regularly. Put simply it’s like a mini control center for pretty much anything you want! Including of course for its initial purpose of helping YouTube & Twitch streamers switch cameras and control other aspects of their games and video streams. 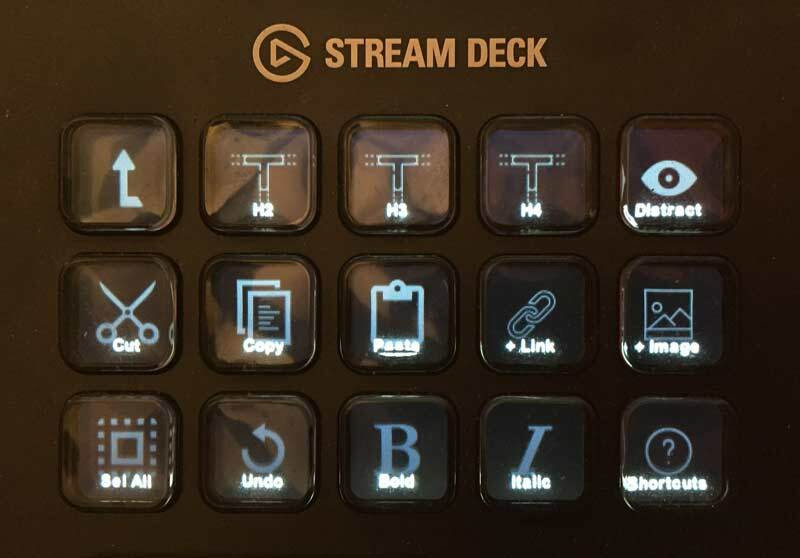 Admittedly StreamDeck is for the extreme productivity hackers out there and those that use Photoshop, Adobe Premiere and other creative design suites where having more customizable buttons on your desk to use as your control center is a dream come true. Is this you? Check out an example of my StreamDeck when I am using WordPress to write an article. I have the WYSIWYG buttons I use most often and a few other shortcuts each assigned to a button. 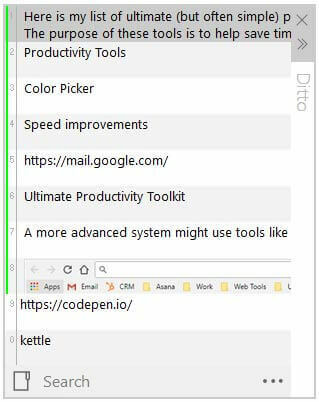 Google Chrome has become one of the most popular browsers over the years and one of the things it has to offer productivity hackers is extensions. I don’t advise going overboard and installing too many extensions though because it can drastically slow down your web browsing experience. If you want to have many installed but plan to not use them that often consider deactivating them and reactivating when you need them. It’s also worth noting that you should check the extensions you install, make sure they are highly reviewed and well supported as browser extensions can pose a major security threat. The Great Suspender – An absolutely essential tool to keep your Chrome browser loading and responding quickly. If like me you tend to have 10 30 or more tabs open simultaneously then you will be familiar with the resulting performance issues. This extension will auto suspend any tabs you haven’t used for a certain period of time to make sure they aren’t taking up valuable computing power. A must-have for any chrome user with a tab addiction. Color Picker – Want to find the color code for something you have seen on other websites? Color Picker does exactly what it says, simply click the tool and then click anywhere on a web page to find out the HTML hex color code. Popup Blocker – I hope that everybody uses a popup blocker by now and Chrome recently added a native popup blocker feature built directly into the browser. Will third-party popup blockers become a thing of the past? So far the jury is still out but for now, I still have my trusted popup blocker installed called Adblock. Shareaholic – I have used a wide range of social media sharing tools but this is by far the best. This tool is ideal when you want to quickly share your own articles or other web pages on social media with just a few clicks and without requiring the website you are on to include their own in page social sharing buttons. Loom – Loom is a fantastic way to quickly record a website to make videos with narration to describe something or create a quick tutorial for a client or colleague. While I love to use Camtasia for my full video tutorials Loom is great for if you just need to make a really short video to send to someone to help you better illustrate an idea or teach something. Once your video has recorded it is automatically uploaded to the cloud ready for you to share. Grammarly – One of my favorite tools that have greatly improved my writing abilities and helped me learn more about good grammar. The beauty of this tool over a traditional spellcheck is that it can detect typos and contextual mistakes that you might not typically notice. I use Grammarly for all of my writing even if I am not publishing anything online and one of my best productivity hacks of the past couple of years. Streak – This powerful tool adds advanced features to your Gmail Inbox to turn your email into a CRM (Customer Relationship Manager). My favorite tools available when you add Streak include the ability to declutter my inbox by snoozing emails for latter to help me focus on the important emails. Snoozing emails may not sound revolutionary but wait until you try it. It is very easy to look at your inbox and see 50 emails and instantly feel overwhelmed by what’s on your plate. Skim through and snooze anything that doesn’t need to be addressed in the next hour or two and you will feel the digital weight being lifted off of your shoulders with each click of the button. My second favorite feature is the ability to schedule emails for later inside Gmail. Since I am often traveling to different countries and have clients both in my home country and around the world I like to be mindful of when I send emails to specific recipients both to make sure it gets their full attention and also so they don’t think I am emailing them at strange times in the evening. Streak also features email templates so you can save time and avoid typing repetitive emails and introductions, this is similar to canned responses but more intuitive and flexible. I have only scratched the surface of what Streak can do but sometimes it’s the little tricks that make the biggest difference. That said one of the most powerful tools it offers is a Pipelines workflow that you can assign emails to which allows you to track the progress of projects, new leads and much more. SimilarWeb – The SimilarWeb chrome extension allows you to analyze any website to estimate traffic, sources of traffic and various other useful analytics and insights to help you with competitive research. Mozbar from Moz – A chrome extension created by the SEO experts at Moz.com that provides various reporting tools allowing you to see a websites domain authority, page authority, metadata and lots of other useful details. 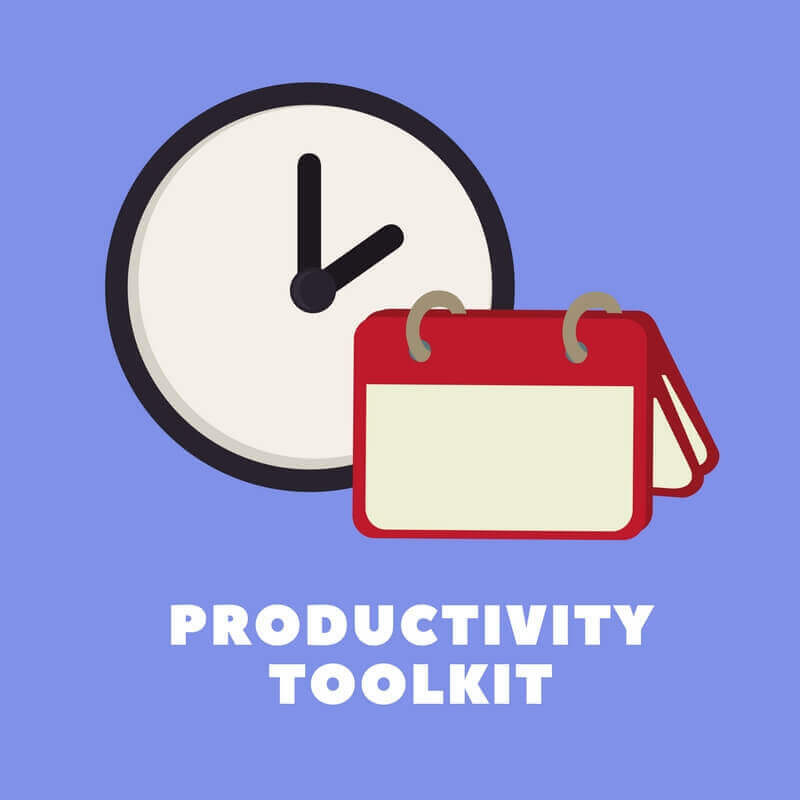 Here is a quick roundup of the productivity tools that also have mobile apps for iOS, Android or Windows devices. Some of these tools are only apps and don’t have a desktop counterpart while others are just the mobile version of a productivity tool featured above. Asana – For me Asana is the ultimate productivity app for smartphones as it includes a calendar, task lists, note taking and the ability to collaborate on the go. I put all of my ideas into Asana when I am away from my laptop. Toggle / Hours / Timely – All three are great apps for keeping a log of how long you are spending on various tasks, Its easy to let the hours run away without realising the time, keeping track of the time you spend on each task, project or helping each client will go a long way in helping you improve your ability to quote for the work you are doing. Hours is currently only available for iOS users. Buffer – Share social media posts on the go from your mobile browser. Great if you want to use the time away from the computer or during your commute to schedule some posts on your Twitter, Instagram, Pinterest, and Facebook accounts and take care of those social media tasks. IFTTT – A tool mentioned before that can become even more useful when you have the app installed. With this app, you can use your phone to create new automation recipes and setup useful features like automatically backing up your photos to Google drive or setting your heating to turn on when you are 5 miles from home after work. Google Drive – Create and edit your documents, spreadsheets and other files from your smartphone. This is the best word processing tool for your phone. and completely free. Evernote – If you are a fan of using this tool on Desktop then it’s essential to have it installed on your phone and other mobile devices (if you are fancy like that). This covers all of the productivity tools I am actively using both at my desk and while on the move. One of the best ways to make more money is to be more efficient and by saving time. Related reading: Okay so you have learned how you can step up your productivity, need some inspiration for blog post ideas? I have created a detailed list of ideas you can start using right away if you are not sure what to write next. What productivity hacks and tools are you excited to use in 2018? and what tools are already working for you? Let us know! While you are here, why not learn about how to achieve inbox zero and use your Email more productively.